A Extreme Sailing tagged image from photographer – chooyutshing as published on Flickr. 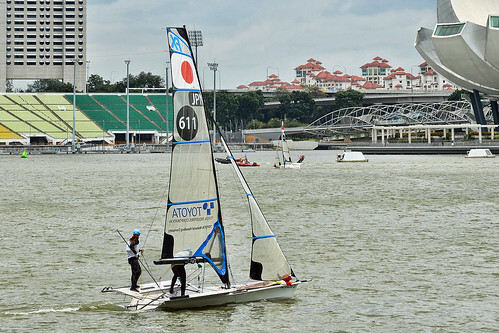 At the Marina Bay during the 2014 Extreme Sailing Series. Transat Jacques Vabre – Prudence or Push?